Shopping in East Pattaya got “cool” with the opening of The Chilled on Soi Khao Noi. 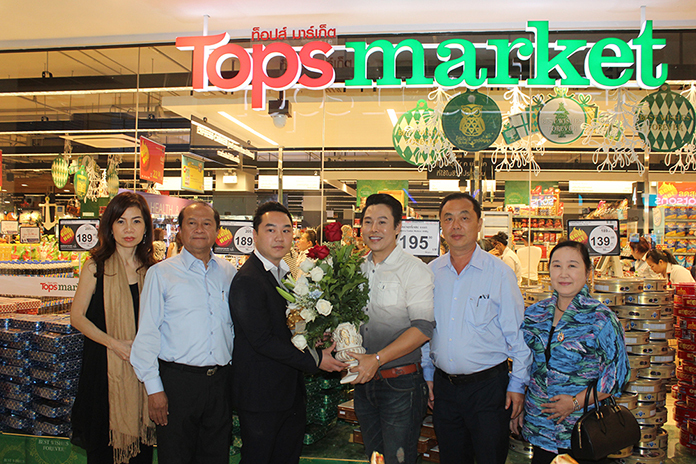 Managing Director Peeraroj Lohchaisakul welcomed the first guests to the soft opening of the shopping center Dec. 19. Peeraroj said the center is another option for people in Nongprue and those living on the “dark side” of Pattaya to quench their retail cravings. Guests congratulate Peeraroj Lohchaisakul, MD of The Chilled during the soft opening ceremony. Tops supermarket is the anchor store in the complex, which has parking for 200 vehicles. More shops will open early in 2017. The Chilled is open from 7 a.m. to 11 p.m. daily. Those spending more than 1,000 baht during the opening weekend received gifts and vouchers.